Ok, now that you’ve emailed your friends and colleagues (or registered yourself! ), we’d like to talk about the fact that there have been two fundamental changes in the way that AKRI is related to these events. The first change is that both the Boston Center and the New York Center are in the process of re-affiliating with AKRI. This represents a real turning point in the history of our network of GR organizations in the US, and is cause for widespread optimism about what it makes possible. The second change is a new way that AKRI is thinking about supporting events. In the past, AKRI “co-sponsorship” has been an umbrella term, sometimes too broad and sometimes too restrictive. 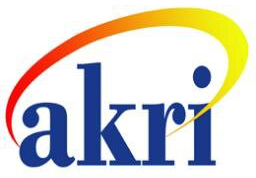 It’s referred to everything from events where AKRI has invested significant resources to events where AKRI has done little more than authorize the inclusion of its logo on a brochure or website. AKRI has long felt this to be inadequate, and it’s hurt AKRI’s ability to work with the larger GR community. So, the AKRI Board has authored a working draft of a document that outlines various ways that AKRI can offer its support to events throughout the GR world. Without going into all the details here, AKRI can now differentiate its support for diverse events. For example, an event that it’s fully engaged in co-creating might have one framework for support, while an experimental event being put on by AKRI members will have another framework for support. In the case of the Boston and New York conferences, it makes sense that a well-established, thriving conference like the Boston residential would fit best in a different category from a nascent conference trying to establish itself in the heart of an expensive and challenging metropolis. Thus, AKRI is able to affirm its support for the Boston Conference while the conference remains a Boston Center event, and the Boston Center continues to do what they’ve been doing so well for years. 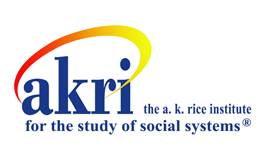 While at the same time, the New York Center has asked AKRI for more support to launch its new event, and the New York Conference is a true co-production of the New York Center and AKRI, with both contributing needed resources. To those who have supported the re-affiliation of AKRI with the Centers, this represents the sort of “stronger together” synergy that we’re after. In the reconnected Group Relations ecosystem, the sum is greater than the parts. One final thing: this blog entry is intended to both send an enthusiastic message about the upcoming events, and to set a tone of cooperation and more-is-better throughout the national GR ecosystem. But we wouldn’t be telling the whole story if we didn’t address issues of competition and suspicion. In fact, we’d like to see this blog entry as opening a space to talk about challenges like toes getting stepped on, bad tastes left in mouths, and right hands not knowing what left hands are doing. Good planning and communication around these events has made it all possible. It’s had its high points, but also its low points. In all cases, more communication has meant more collaborative problem solving and more pro-active action. In some cases, things have slipped through the cracks; timelines haven’t been aligned; etc, and we’ve only realized it as we hit some bumps in the road. We’ve been grateful for the patience and cooperation of all involved, and we’d like to emphasize the over-arching message: the more group relations, the better. For the tens of millions of people who live within an easy train or bus ride of New York or Boston, we’re offering more than ever before. Let’s work together to recruit, so that both these events have more support than ever. I’m sure I speak for both Directors and conference staffs when I say that they’re happy to help. And we, the AKRI Board, look forward to a February Board call full of stories about amazing learning and thriving conference life in all the AKRI affiliates.